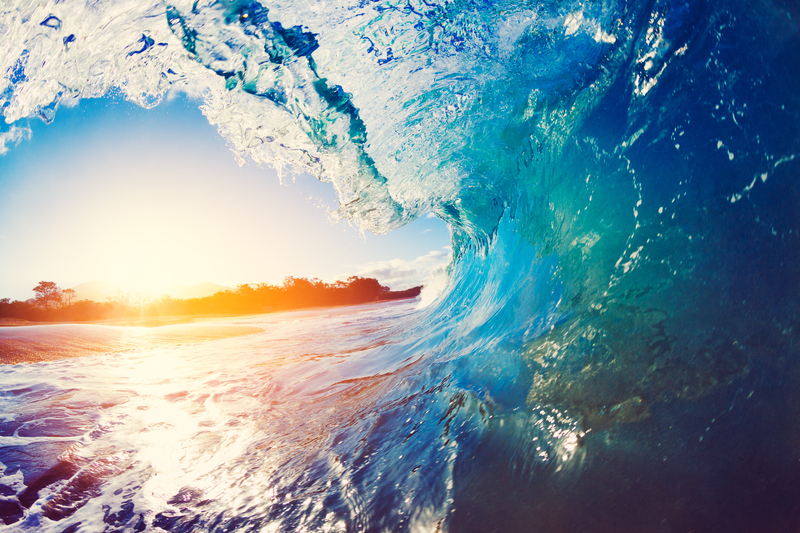 Imagine yourself with eyes closed in a teal-toned ocean that has white wave crests and heat from the sun shining down on you. Surrounded with the familiar scent of island coconuts, hibiscus flowers and salty goodness. While floating, you hear birds chirping and palm trees swaying in the wind. You open your eyes briefly and wait, you’re in your…bath tub?! Yes. We are about to give to you a bath bomb that will transform your bathroom into a private getaway that smells heavenly. Say goodbye to overpriced tickets to Bali and hello to a world of affordable bliss. With just a few drops of essential oils, some gorgeous coloring, and an imagination (which we know you have!) you’ll be transported far away from your family, daily “can’t even” moments and anything that causes you unrest. The best part? All it takes is awaiting your tub to fill and boom, off you go. Way better than a crowded flight with possible delays, or we think so at least. Now for the fun part! Take your sticky mix and place into the bath bomb molds! Fill them up to make sure they take the right shape. (Overflowing is 100% welcome, guys). Place the molds into the refrigerator for one hour. 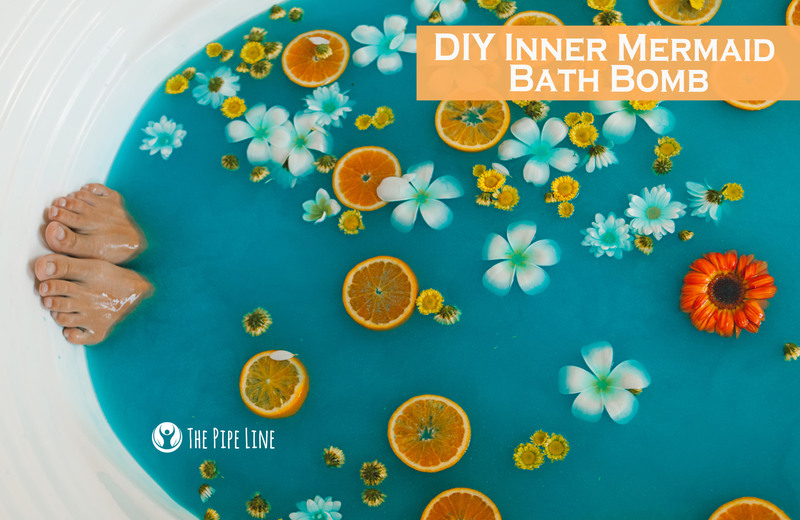 Drop in the bath and go to your oasis! 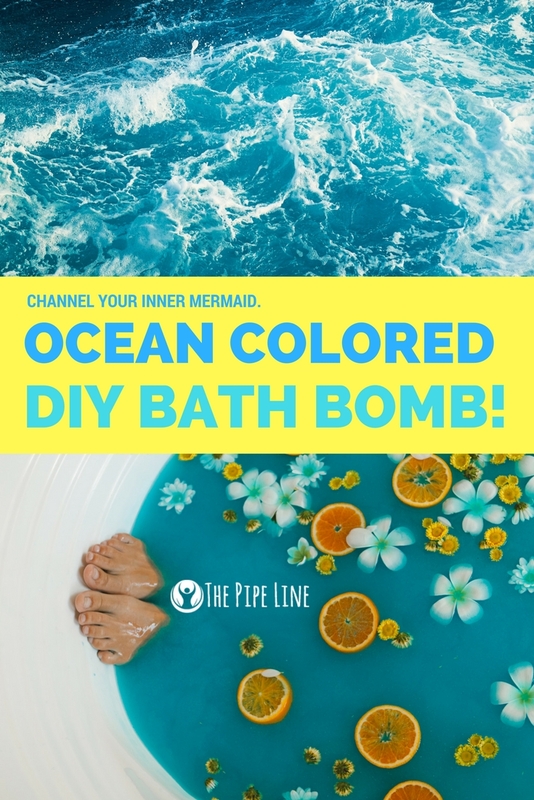 So there you have it, a way to channel your inner mermaid while pretending you are some where far away than actually just in your bathroom!